Steppenwolf reads Colorless Tsukuru Tazaki and his Years of Pilgrimage by Haruki Murakami whilst tribal drinking at Mo Mo’s, on the Road in Suffolk, doing Hastings and Ig & Ms Moon’s wedding. More than two years ago now the idea came to me. 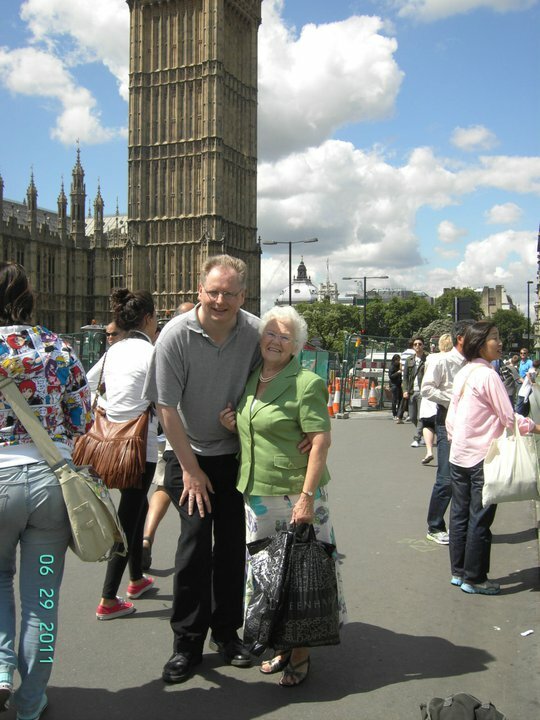 I was watching a TV programme and a lollypop lady who had been working for 30 years was retiring and so people had put her name forward to attend the Queens Garden Party. It became apparent to me that it was now possible for ordinary people to receive such an invitation and that got me thinking. My mum, who’s services to society have never been recognised before could perhaps finally have her day. 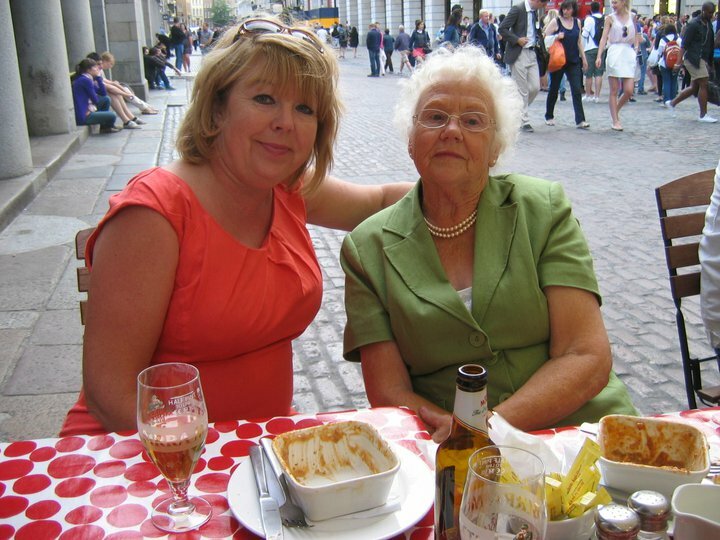 When my mum was younger she had fostered many young children and finally having taken me at the age of two, temporarily, in the early sixties she had kept me. I stayed until I left home and I’ve been part of the family ever since. All this while looking after three of her own children. 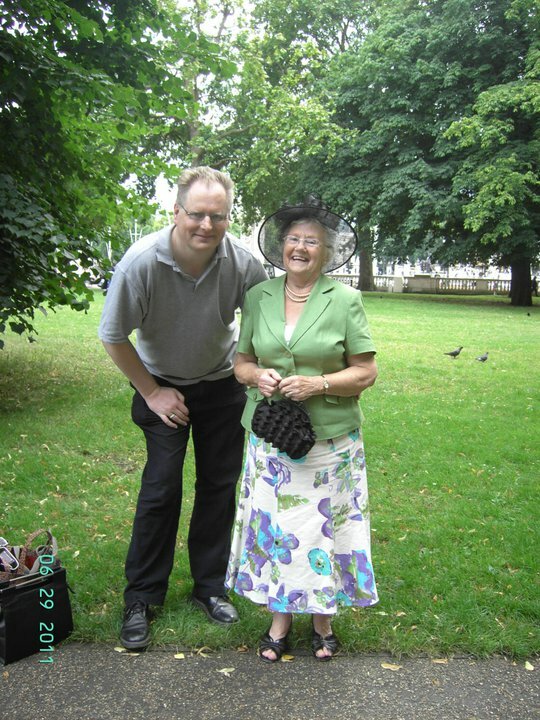 Later in life she spent many years acting as a carer for my dad who developed a muscle wasting decease and became increasingly difficult to look after until the end ten years ago. Surely, I thought, fostering and caring, two of the least recognised services to society ought to be recognised in some way? 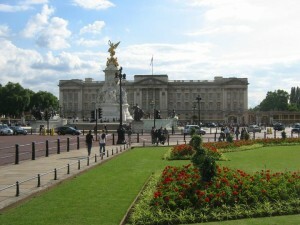 Why not an invitation to the Queens Garden Party? I began to wonder how you might go about getting such an invitation and if I succeeded what would be involved. 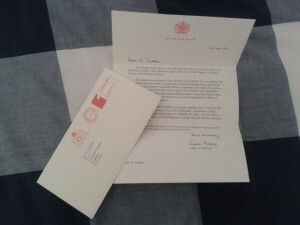 I decided the best thing to do to get an invitation was to write to the Queen. I realised this probably wouldn’t work but hoped that it might provide some leads. Sure enough it did indeed pay dividends. The Queens Lady in Waiting sent me a posh letter to say that although the Queen was moved by my story she did not issue the invitations directly and that the best thing for me to do would be to contact a Lord Tollemache who would review the submissions for the Garden Party in my mums area. He, it seems, was the man with the plan. At this point the plan stalled for a year. I forgot to write to Lord Tollemache for a while and when I got around to it I realised I was probably too late to get an invitation for that year. I decided to wait. At the end of the year I suddenly remembered it all again and wondered if I might be still in time? I’d lost Lord Tollemaches address by now but, hey, that’s what the net is for right? I found the relevant council and got the number for his office. I decided to call and see if it was worth making a submission. A very nice lady called Valerie said that I was in fact only just in time for submissions and would need to write mine that very day and e-mail it to her for consideration with all the others the next day. I duly wrote my letter explaining about my mum and also mentioned that my sister is also now a fosterer having raised her own family and seen them fly the nest. I asked that she be the person to accompany my mother should the submission be successful. One thing was for sure, I wouldn’t be the best person to accompany her (I’m more than a little scruffy and not exactly a royalist). I got my submission in in time and now there was nothing else for it but to wait. This is where the story becomes a bit of a farce I’m afraid so deep breathe.. I waited a few weeks wondering if my application had been successful. I was actually wondering if I would hear anything anyway, as, if I was successful, it might be that the invitation would just be sent to my mum. 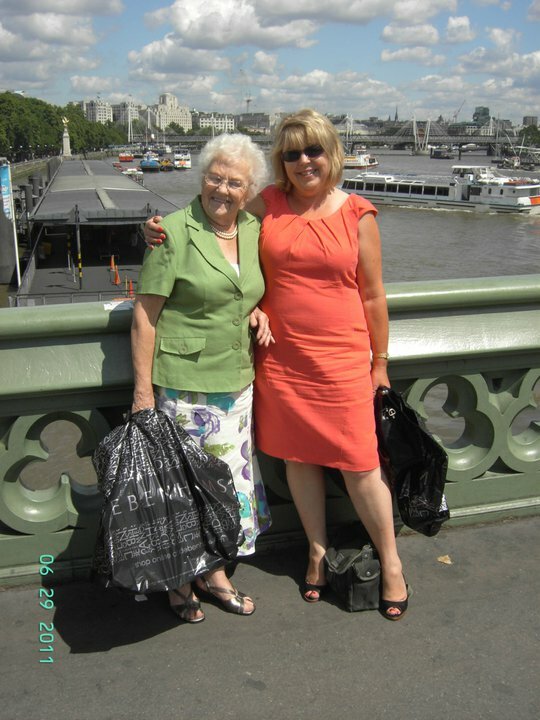 I get a phone call one day from Valerie, she explains that I was indeed successful and my mother would be invited to the Queens Garden Party. This was actually the reason for her call because an initial letter had been sent to my mum asking for details (security type questions) and she had had no reply. Did I know what had happened? It was getting close to the deadline and she needed to know if my mum wanted to go. Until now I had not mentioned the plan to anyone as I was hoping to get away without anyone knowing I had done it. My cover was clearly blown! I figured my sister would know if anything had been received as I was sure my mum would show her any unusual letters. In fact I had been counting on this. I thought my mum would show the letter/invitation to my sister who would realise its importance and help her deal with it. I decided to ring her and ask about the letter. She said that she did think that there had been a letter but that they had decided it must be some kind of scam and that it would be best to throw it away. Aaargh! I called my mum and asked her about the letter, sure enough she had received it but had indeed thrown it away not realising its importance. I explained what it was about and asked if she would like to go. She would. Back to the drawing board. I had to call Valerie the next day and explain that I hoped she wouldn’t take it personally but my mum had thrown her letter out by mistake. Could she resend it? Fortunately, she saw the funny side of it and said she could. I Called my mum again and impressed upon her that she needed to reply quickly with the relevant information. She did. Same day as the letter arrived it was sent back. Laughs all round. Now the planning begins. Train tickets to book. Dresses and hats to buy. A second letter arrives with details of the day and timings. Apparently the actual invitation won’t arrive until nearer the day. I’ve just been visiting the family (I live in Brighton they live in Ipswich) and the importance of the day seems to have been grasped now and everyone is happy they are going. 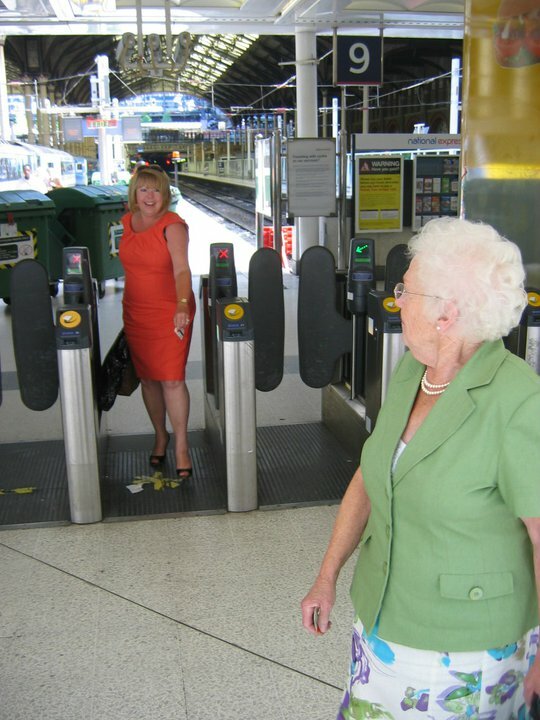 So here I am sitting on my train home having paid a visit to everyone, safe in the knowledge that the next time I see my mum and sister they will be all dolled up, hats and all, ready to attend The Queens Garden Party! I get a call from my mum. 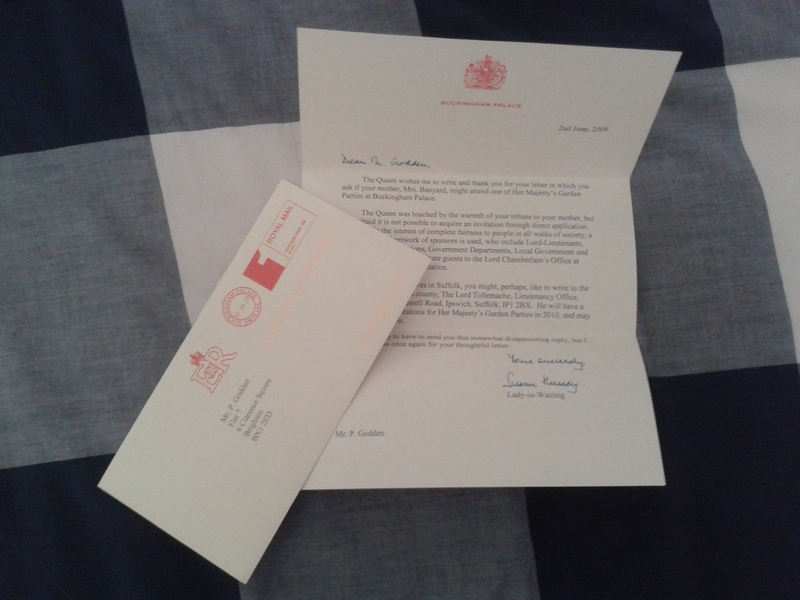 Apparently my sister has now received her invitation to the Palace! That’s the good news, unfortunately its now two week later and my mum hasn’t received hers! Looks like there’s more drama to come. Next day I call my old friend Valerie (at least she feels like an old friend by now) and ask her if this seems normal or if I should be doing something about it. She confirms my fears, it’s not normal and I should do something about it. Apparently the invitation comes from the Lord Chamberlains office which is part of Buckingham Palace so it looks like I’m gonna need to call her madge’s place. Valerie gives me a “name” and so I make the call. Reception asks for a name and thanks to Valerie I’ve got one, I’m transferred. A very posh lady comes onto the phone (I thought Valerie was posh up to this point) and confirms the invitation should indeed have arrived by now as it had been sent at the same time as my sisters. Hmm. This could be trouble. We discuss what to do and as we do we confirm the address it was sent to. Ah! Its gone to number 6 and not number 16! That explains why she hasn’t got it, what to do now? I suggest to the posh lady that I get my mum to call at number 6 and see if by some miracle they have kept it thinking it was important (the Buckingham Palace stamp should have given it away). I agree to call the Palace the next day either way. I call my mum and ask her to go to number 6 and see if they have the invite, she calls back later to say that there was no one in. I suggest we wait until the evening, they’re probably at work and will be back by then. Mum calls around in the evening, proof of identity in hand (sweet touch I thought considering she’s in her seventies), she explains that it might sound crazy but they haven’t by any chance got an important looking letter hanging around? Indeed they have! Got it a couple of weeks ago and couldn’t decide what to do about it. Bingo, invitation in hand she calls me back, jobs a good’un. I call the Palace the next day (as you do, I’ve got the posh ladies direct number by now) and confirm we have the invite and all is well, MI5 will not be needed after all! So three weeks away and I’ve got my train tickets, they’ve got their train tickets. 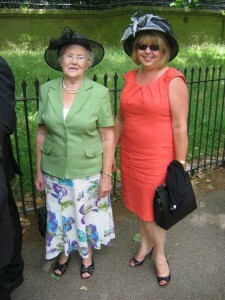 My mum has a snazzy new outfit including shoes, dress, hat and handbag. My sister is on the job for herself too. I’ve begun writing an hour by hour schedule for the day just to be sure nothing goes wrong. Fingers crossed. The ball is in my court to start with. I’ve got to catch a train to London and make my way across London to Liverpool Street in time to meet my mum and sister as they come in from the other direction. I’m the pathfinder for the day and it’s my job to make sure all goes smoothly. I get to London and discover there is no tube station at Blackfriars despite what it says on my London A-Z (closed for works). No choice but to hot foot it to the next stop, I get there and the circle line is having points trouble, apparently I could be sitting in this circle line train for a long time. I get off, hot foot it north to find a Central line station, finally I’m on a tube to Liverpool Street. Success, I get to Liverpool Street and they aren’t due in for ten minutes so at this point all is well. Deep breathes. 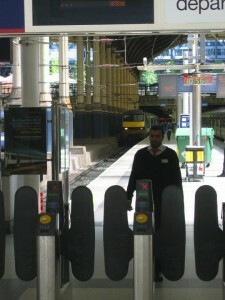 Their train arrives at the platform as scheduled and after a while they appear out of the crowd trying to exit the platform. Some photos and hugs etc and we are on our way. I’m going to take them to Westminster first so it’s a case of central line to Bond Street and then South. We have our faith in humanity restored on the trains as young gentlemen give up their seats for mum on both trains, most definitely appreciated. By the time we are on Westminster Bridge we’re nicely on time so we take in the view of Big Ben, The Houses of Parliament, The Thames and the London Eye. As we leave I have to help a lady carry something heavy up the stairs from the tube as she is struggling and comment to my mum and sister that “What goes around, comes around” and that’s the theme for the day. Just one stop back on ourselves to Embankment now and then we walk up to Trafalgar Square, time for photos. I nearly lose my mum’s hat at this point as the wind catches it and blows it away but luckily someone catches it for me, “What goes around, comes around”. Time for something to eat and drink and the National Gallery Cafe is perfect for the task. We’re actually early at this point (according to my minute by minute plan anyway) so I decide to show them some paintings in the National Gallery. Van Gogh, Matisse, Renoir, Monet and a few others, not bad aye? My mum enjoys this because there are lots of school kids busily drawing the paintings. They’ve been given pieces of paper with blank frames on them and have to find the matching frames and then draw the painting in the blank space. Nice teaching guys well done. 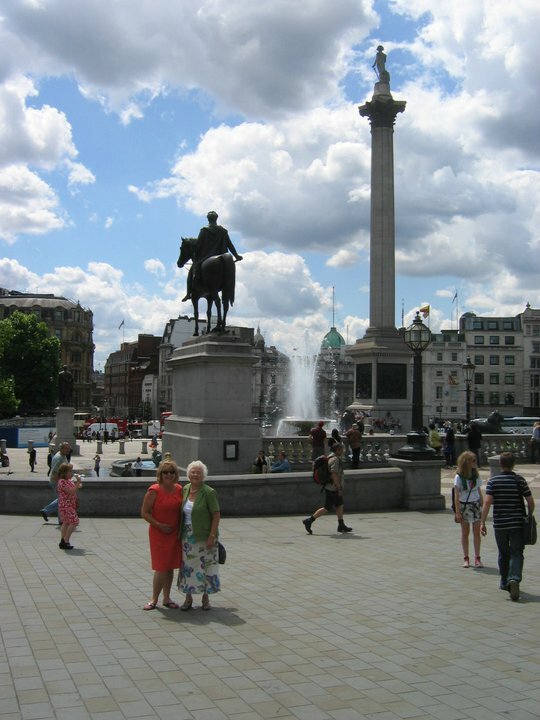 We leave The National Gallery, cross Trafalgar Square and walk down The Mall. At this point we start to fit in, as people with posh outfits begin to appear from all directions, all the ladies wearing hats. When we reach Buckingham Palace we duck into Green Park so that mum and Sue can change their shoes and put their hats on. We’re not the only ones doing this. All dolled up its time for them to join the queue alongside The Palace. It looks worse than it is at it begins to move straight away and slowly we edge our way to the gates. Passports checked they pass through and that’s all I can say about that. Job done. They’re in. 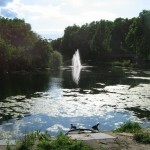 I’ve got some time to kill now so I walk up The Mall but get side tracked by St.James’s Park. 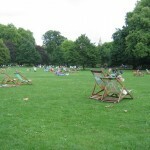 The sun is shining and they have some comfortable looking deck chairs just waiting to be sat in. As I walk in and start to choose my deck chair someone comes up to me and asks me if I’m going to use them I comment that I am and he gives me a ticket. He and his wife had just paid for them but had decided to leave, “What goes around, comes around”. So I get to sit on my deck chair and relax in the knowledge it won’t even cost me anything. 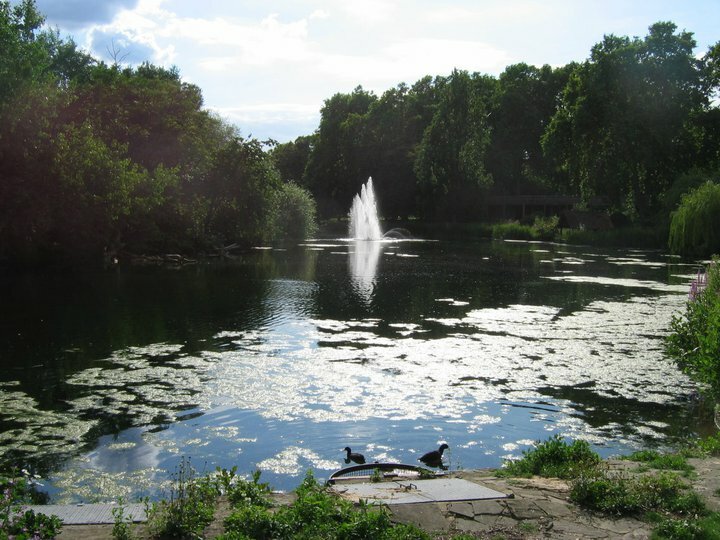 I hadn’t planned to but I spend the next couple of hours relaxing and exploring St.James’s Park, very nice, can recommend it. Its soon time to go and see if they are coming out so back to Green Park and wait for a few minutes before the call comes to say they are indeed out. Cross the road and there they are. 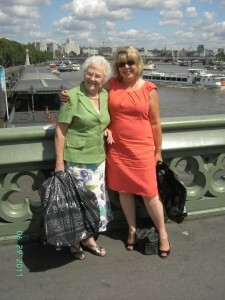 Seem to have had a good time although I gather the tea wasn’t up to my mums standards, shocking! 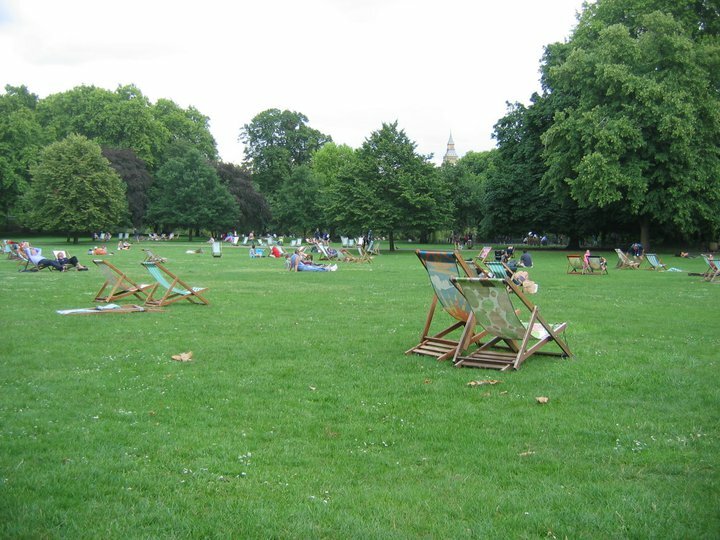 We walk across Green Park and up to Green Park Tube station. They get a glimpse of The Ritz although its not a good time to see it as there is building work going on. Into the tube station and before you know it we’ve been transported to Covent Garden, where the lifts suitably amuse my mum who hasn’t seen anything like them. Covent Garden is its usual self and after a brief look around we settle on a nice looking place to have a meal and sit down. Its Italian and they have beef something or other while I set about a large pizza. Feels like we could be in any European capital, sunshine, lots of people and good food. With a beer as reward for my efforts I’m happy to see the day end so well. We have a further walk around Covent Garden after the meal and stop for a coffee to plan our next move. Simple enough, tube to Liverpool St. and goodbyes on the platform. Great day!